On the off chance that anyone else wondered what the text on the Soviet-spring-festival bitmap (Слава советским женщинам!) 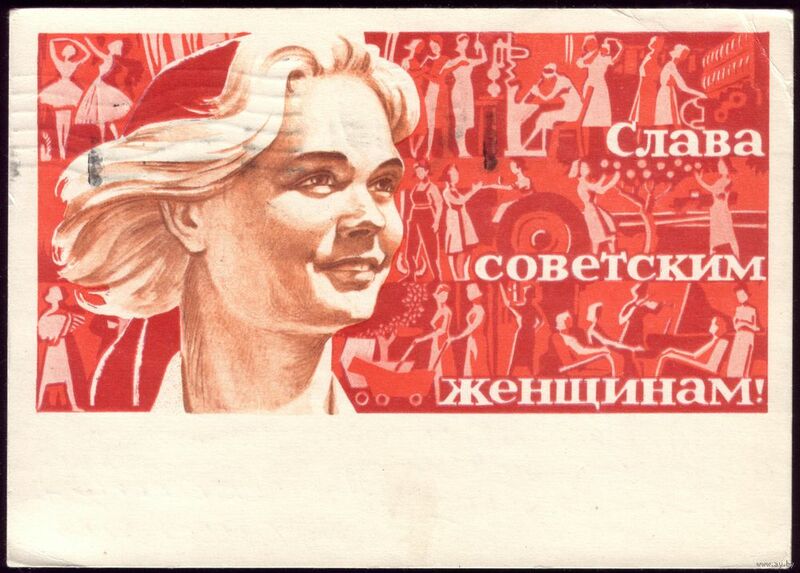 means, it turns out to mean "Glory to Soviet women!". Shocker. I'm guessing this was a stamp? I think the UK is the only nation that omits its name from its postage stamps.